Reduced price! Gold Lexus ES 300 from 2002 with beige interior. White 2018 6 cylinder sedan. Price AED 93,000. Beige interior. It has power windows and CD player. Imported spec ES 350 from 2017 with a 6 cylinder engine. Grey/Silver sedan with beige interior. It has climate control and power windows. GCC spec 2008 Lexus featuring power windows, bluetooth system, cruise control. White with beige interior. GCC spec Lexus ES 350 with ABS, 18″ wheels and CD player. Price reduced! Lexus ES 250 with many features, including ABS, power windows, CD player. Black with beige interior. Imported spec 2010 Lexus with Performance tyres, 17″ wheels and Moonroof. Price reduced! 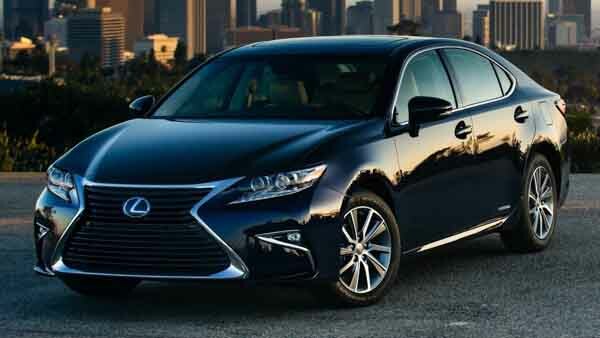 Imported spec 2014 Lexus ES 350, black SUV/Crossover with black interior. It features adaptive cruise control, 17 inch wheels and premium paint. Ewan - When I got into an ES 350 for the first time, I knew I wanted to own myself one day and so I did. I got a second hand one for a good price, and it’s practically perfect no faults and no problems at all. Pros: Options and decent engine. Cons: Nothing to report about at the moment. Rajesh - ES 250 is an excellent car for a few reasons, it’s fuel efficiency, nice options and still has power. Lexus did a fantastic job of the years to build the almost perfect car. Pros: Light on the wallet and lots of features. 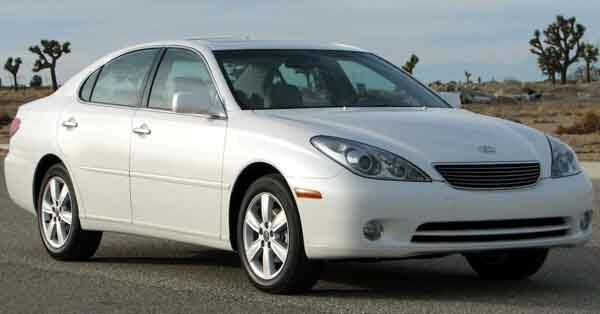 Khalid - I would recommend everyone to buy a Lexus ES series, I got mine as an export from America. Extremely comfortable, lots of room inside and it has powerful engine. Pros: Lots of room inside and comfortable seats. Cons: Handling can be soft at times. Based on the same platform as the Toyota Camry, and we all know how reliable that is compared to rivals on the road. As it’s proved popular amongst the luxury taxi fleet resale value remains quite high on these models even if it’s an import model. Even though it’s no LS sedan, it’s still packed with great features whether it's fully loaded or standard. Even though the V6 is the most common engine underneath the bonnet, the ES series comes with a four-cylinder and hybrid power unit. For an entry level sedan it proves one of the roomiest cabins and provides ample boot space for any load. Since the birth of Lexus way back in 1989, these cars have been present ever since. Seen as the more reserved of the Lexus lineup, but that doesn’t mean it falls short regarding luxury. It’s also one of the only Lexus models to come stock with a manual transmission and a front wheel drive platform. Over the years various models were available, all of them based on the Camry and later on the Avalon platform. Much like other Lexus models, these cars won multiple awards around the world including the safest car. Main rivals in today’s market consist of the Infiniti Q70, BMW 5 Series and the Mercedes-Benz E Class. Lexus ES 250 models were available as built in 1989, 1990 with production ceasing midway through 1991. With a boxy shape, is struck up quite a resemblance to the LS series. To set itself apart, Lexus added a distinct grill up front and larger tail lights at the rear. Inside, it’s more or less the same as LS models; standard features include a moonroof, power front seats and power windows just missing out on the wooden trim. Optional extras included a Pioneer sound system and leather upholstery. Riding on 15-inch rims, safety features included anti-lock brakes and driver side airbags. Powered by a 2.5-litre V6 engine, 156 horsepower power is sent to the front wheels via a 5-speed manual transmission or a four-speed automatic one. These older ES models are rare in UAE, not sure about the rest of the GCC. The name did return in 2012 and is still part of the line now powered by a 2.5-litre four cylinder petrol motor mated to a six-speed automatic gearbox. Second hand 2014 models start from 112,900. Lexus decided to drop 250 and replaced it with ES 300. All the boxy edges have been moulded into rounded edges to give the ES sedan an up-to-date look; the entire exterior is brand new apart from the rear lights and the standard rims. Inside, driver side airbag, leather upholstery, an eight-speaker setup and wooden trim come as standard as well as keyless entry. Overall length is increased which benefits rear passengers offering more legroom. In 1993, passenger airbags became standard. 94 models, rolled into showrooms with a revised front grille, new headlamps and fog lights. Inside, only the air conditioning is enhanced. 2000 models received a minor facelift that added a new front grill headlights and bumper. Xenon headlights were now available as an optional extra. Towards the end of production, Lexus continued to add features such as stability control, brake assist, anti-lock brakes and traction control. Lexus ES 300 models are powered by either a 2.5-litre or 3.0-litre V6 motor. Both transmissions returned to power the front wheels. From 2001 onwards, the manual transmission was dropped from the line up. ES 300 models were produced in 1991, 1992, 1993, 1994, 1995, 1996, 1997, 1998, 1999, 2001, 2002 and 2003, giving the badge the longest run in the entire ES series. The name has since returned as in 2012 an ES 300 hybrid made its debut with a 2.5-litre inline four-cylinder hybrid engine. Paired to a CVT, power is sent to the front wheels. If you’re looking to buy used Lexus ES300 in Dubai, UAE you can buy one for as low as AED 17,000. 2004 models were renamed 330, every single detail remains the same except for the badge of course. 2005 and 2006 models wore a different exterior with a slightly update all around. Options remained similar to the ES 300 series. 330 signified what’s underneath the bonnet, a 3.3-litre V6 petrol motor powering the front wheels via a 5-speed automatic transmission. 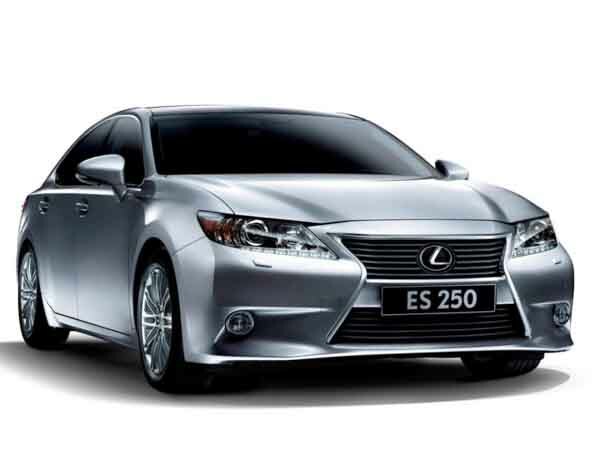 Used Lexus ES 330 prices start from AED 18,000. 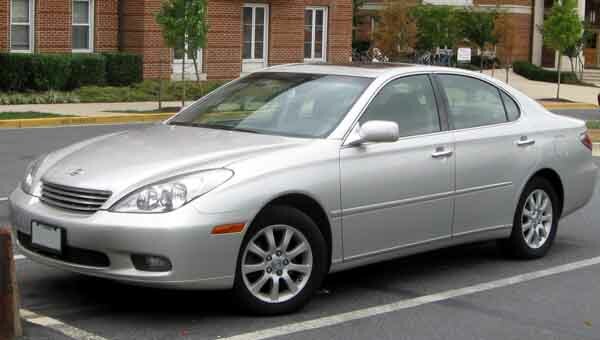 2006 saw the 330 badge stripped from the rear end, and these models were rebadged as Lexus E350 models. The exact style was retained until 2009 where the entry-level sedan was enhanced to be more aerodynamic. A host of new vibrant colour options was added to the menu. Standard features included digital a/c, AUX input, eight airbags, leather seats wooden trim, 14-speaker premium stereo sound system, standard cruise control, navigation, parking sensors and power seats. Optional extras included a moonroof, Lexus Park Assist, adaptive cruise control and reverse camera. Over the years more and more features were added either as standard or optional; keyless entry, panoramic sunroof, LED’s, cooled seats, analogue clock as well as numerous safety features such as stability control, pre-collision system, multiple airbags, and new floor mats. 2010 saw the introduction of the Premier, Titanium and Platinum trim levels all of which bear distinct characteristics. 2013 was the next big step regarding design, Lexus designers went to work and redesigned the exterior and touched up the interior. Another new grille and headlamps were placed up front and around the back, rear taillamps and boot have been reworked for a sharper look. Interior spaces and extras remained the same once again. 2016 models revisited the design studio again, this time, designers took samples from other Lexus models and attached those bits to the ES 350 for an edgier look. With the exterior featuring more refined lines, small changes were made inside while all the interior features remain the same as before. As always what's underneath the bonnet is marked in on the vehicle's rear end, a 3.5-litre V6 motor powering the front wheels via a 6-speed automatic gearbox. ES 350 models are available as 2006, 2007, 2008, 2009, 2010, 2011, 2012, 2013, 2014, 2015 and 2016 models.